So, you’ve just bought an INFINITI coupe from a Terrytown, LA, dealership. Or maybe you’ve had this car for a while. Either way, it’s important to take care of it as well as you can. While that involves taking it to a mechanic from time to time, there are also several things you can do to keep your car in great shape for longer. These tips will help you care for your car easily and will make it less likely that you’ll run into any significant problems down the road. Here’s what you need to know. When you think about INFINITI coupe maintenance, you probably think about changing your oil or the inner workings of the vehicle. But taking care of the outside of your car is just as important as taking care of its parts. You want your car to look amazing for years to come, but that won’t happen if you don’t wash your car on a regular basis. This will help prevent the buildup of dirt and other debris that can make your car look dirty, extending the life of your vehicle. Have you ever noticed that the inside of your INFINITI coupe looks dirtier than the outside? That’s especially true if you drive to your favorite outdoor destinations on a regular basis. Sand, dirt, leaves, and even crumbs can work their way into your upholstery or carpet if you leave these there long enough. That’s why it’s especially important to vacuum the inside of your car regularly. That way, you won’t have to worry about any lasting damage from stains or other debris. When was the last time you checked the tire pressure of your car? If it has been a while, you should do that as soon as possible. If you don’t have a tire pressure gauge, you can always go to your local Terrytown, LA, gas station and use one there. That will let you know if you need to fill up your tires with more air or whether they are fine as they are. Maybe you’re still looking for the right vehicle to take care of every day. 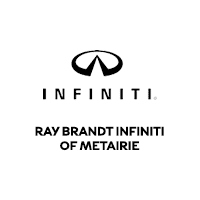 If so, come to Ray Brandt INFINITI today. We have the best selection of vehicles in the Terrytown, LA, area, and we are more than happy to help you find a ride you’ll love.